This is part 6 in a series of posts about early tourism in Nepal. Here are the previous posts in the series. Nepal is going through difficult times at the moment. A 7.8-magnitude earthquake on 25 April killed over 8,000 people and left thousands more injured or homeless. A 7.3m earthquake on 12 May killed another hundred and destroyed many more buildings. Experts predict a high chance of another big earthquake, and in the meantime there are smaller tremors daily. I am continuing with my series of posts on the history of trekking in Nepal not because I don’t care what’s happening at the moment, but because I know that hard times pass and people are resilient. I talked a couple of weeks ago about how the Nepalese have been helping each other through their difficulties, and how life goes on in spite of everything. Many parts of the country have been relatively unaffected, and those that have will appreciate regular tourist income as much as one-off donations. I hope those intending to travel to Nepal for the main autumn trekking season will press ahead with their plans and help the country back to its feet again. In previous posts in this series I have concentrated on the travels of Bill Tilman in the late 1940s and early 50s, describing him as Nepal’s first trekking tourist. This is probably a bit unfair on Tilman. While there’s no shame in being a tourist, he had no guide book and followed in nobody’s footsteps. For sure he was a tourist, but he was also an explorer. Exploration is different nowadays. There are maps, guide books and previous travellers to consult about many of the remotest parts of the world, and when there aren’t any of those things there’s always Google Earth. 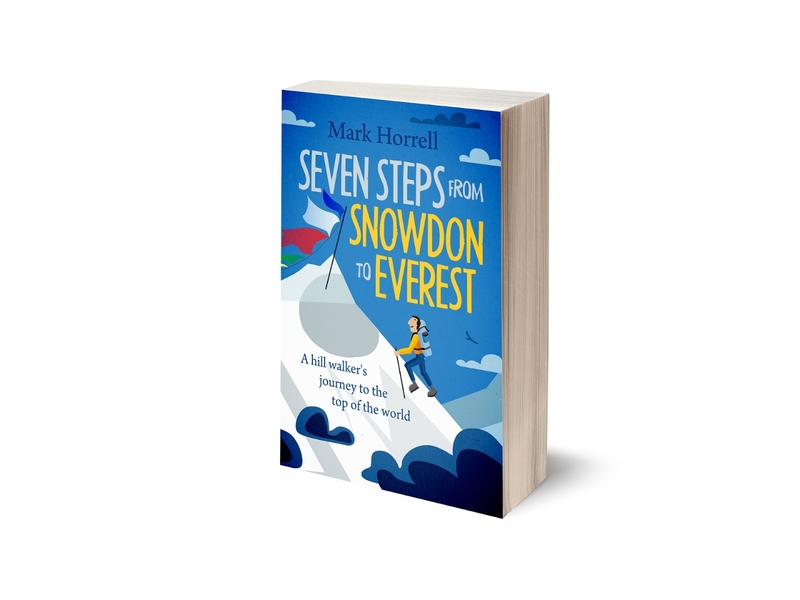 As for Nepal, the three places Tilman travelled – Langtang, the Annapurnas, and the Khumbu – have all seen many footsteps. 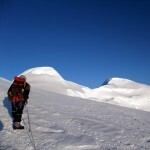 Other areas are opening up all the time, and trekking operators carry out reconnaissance expeditions every year. I even took part in one myself a few years ago. Things have changed a lot since Tilman’s day and one person who had an even greater influence on the development of tourism in Nepal was Colonel Jimmy Roberts, an officer in the Gurkha regiment of the British Army, who lived in Nepal for many years and helped to organise the logistics for several expeditions, including Tilman’s to the Annapurnas, the 1953 British Everest expedition, and the 1963 American Everest expedition. In a previous post I talked about his important contribution to spelling, but we have even more to thank him for. Roberts believed the mountains of Nepal should be accessible not just to elite climbers, but all lovers of mountains, so in 1964 he set up a guiding agency called Mountain Travel Nepal. He advertised a guided trip to the Everest region in the American travel magazine Holiday for $15 a day with all expenses included. Whether it was accident or design that caused him to advertise it as a trek rather than the more commonly used walk (in the UK) or hike (in the US) is not known, but it certainly sounds more exotic, and the word has been used ever since. His first clients were three elderly American ladies. The trip was a success, and Roberts proved that you don’t need to be a superman to travel in the Himalayas. I, for one, am eternally grateful to him for recognising this. It probably wasn’t any of his expeditions to Everest, Annapurna or Machapuchare that convinced Roberts Nepal’s mountains could be accessible to numpties like me, but his exploratory trip to Mera Peak in 1953. 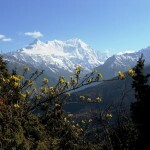 Mera is one of a small number of mountains the Nepalese government has designated as trekking peaks. This is a slightly misleading term which has led many people to believe they can be walked up, and some trekking agencies to advertise them quite literally as walk-up peaks. To all but hardened mountaineers this is a bit like calling a swim across the English Channel a paddle. 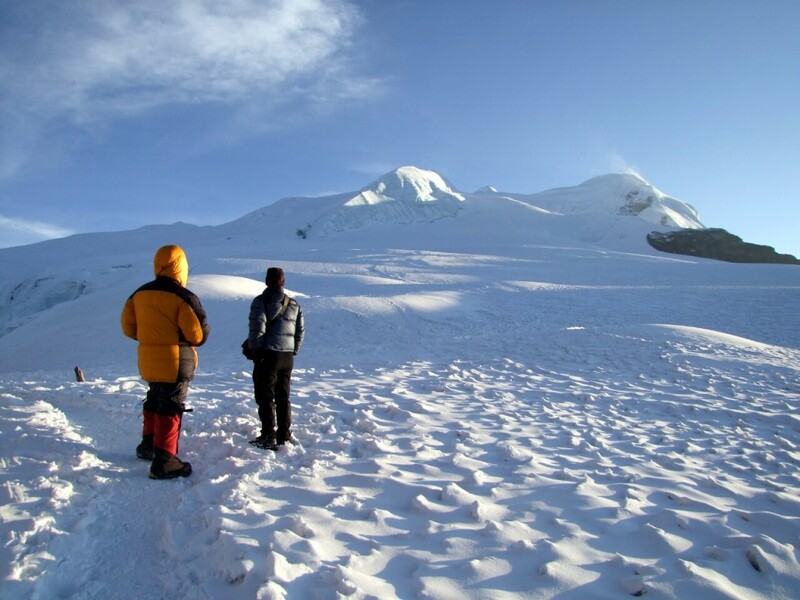 Some trekkers who have slogged their way up to Mera’s summit dome only to find themselves confronted with a short ice climb may have been surprised by this description. All the trekking peaks require mountaineering skills, and some like Cholatse will test gifted alpine climbers on even their simplest routes. 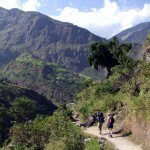 The term trekking peak refers to the paperwork rather than the technical difficulty. You’re allowed to climb a trekking peak with little more than a trekking permit, but to climb any other mountain in Nepal, the so-called expedition peaks, you need to hire a sirdar and a government liaison officer. 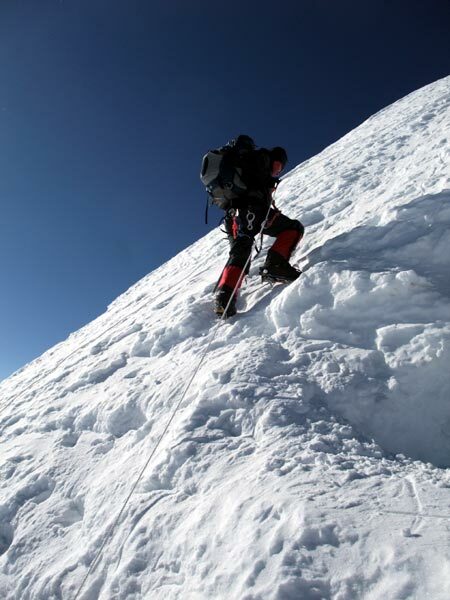 Both must be equipped and paid according to an official scale, as do all staff climbing above base camp. This can be prohibitively expensive if there are only one or two climbers, and most expeditions need to have several members sharing the costs, making logistics more complicated as well. To add insult to injury most liaison officers are no more likely to show up than Lord Lucan. Roberts made the first ascent of Mera Peak exactly 62 years ago, on 20 May 1953. With him on the summit was Sen Tenzing, a Sherpa who had accompanied many of the British Everest expeditions of the 1930s and had been given the nickname The Foreign Sportsman on account of his flamboyant dress sense. Roberts responsibilities to the 1953 British Everest expedition ended when his porters delivered the final load of supplies to their depot at Tengboche. From that moment on, everything that happened higher up became the responsibility of expedition leader Brigadier John Hunt, and Roberts was free to leave. In this sentence from his official account of the expedition you can feel the sense of anticipation he must have felt. He chose to explore the area directly south of Tengboche, because it was an area neither Tilman nor Eric Shipton had explored in their few reconnaissance trips since Nepal opened its borders in 1949. One of his Sherpas, Dhanu, came from the village of Chaunrikharka, a day’s walk down the valley from Namche, and said he knew of a pleasant yak pasture surrounded by high peaks two days’ walk over a high ridge above his village. Chaunrikharka is the first village trekkers pass through when they leave Lukla on the Everest Base Camp trail, and of course these were the days long before the scary airport was built there. The “ridge” Dhanu was referring to is the Zatr La, a high pass over 4500m directly above Lukla, on the route most climbers still take on their way to Mera. 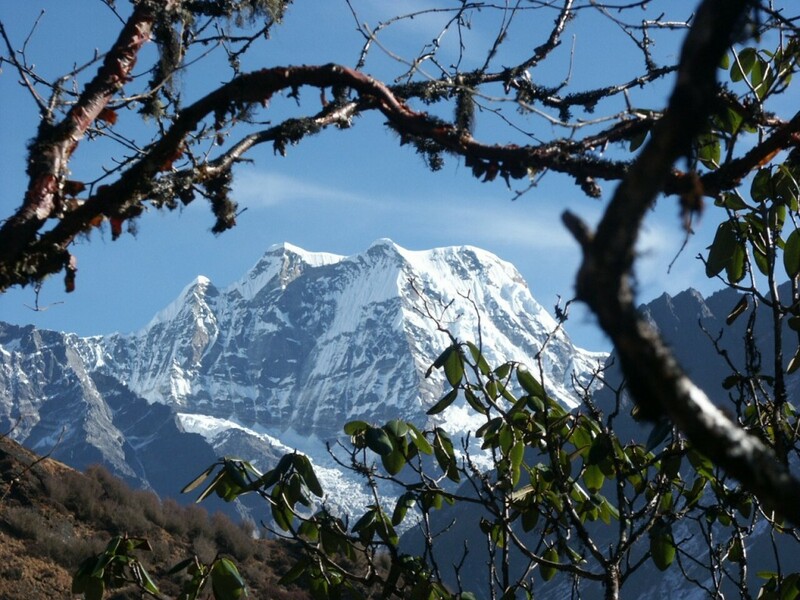 Roberts, Sen Tenzing and their porters crossed it, and passed through pine forest into the high alpine Hinku Valley. Roberts was thrilled to discover the Hinku Valley contained a river as substantial as any in the Khumbu region to the north. This meant that somewhere in its upper reaches there must be a substantial glacier system feeding it. At this point they would have seen Mera Peak nearly 3000m above them in a giant wall rising almost sheer to a regal crown of three summits. Two days later they had skirted the west and north sides of the mountain, and were standing on the Mera La, just 1000m below the summit. From here they could see a straightforward ascent up the Mera Glacier. Roberts described Mera from that angle as, “an indeterminate, rambling sort of a mountain” with a “mass of false summits”. He could see there was a considerable horizontal distance to cover, but there were no real technical difficulties. They went off to explore the Hinku Glacier Basin, a broad plateau of converging glaciers. 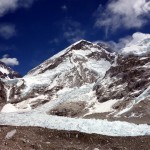 This lies over a ridge to the north of the village of Khare that many climbers use as their base camp for Mera. This was the glacier system they had been looking for as the source of the substantial Hinku Khola river. In fact, they were standing on the summit of 6461m Mera Central. 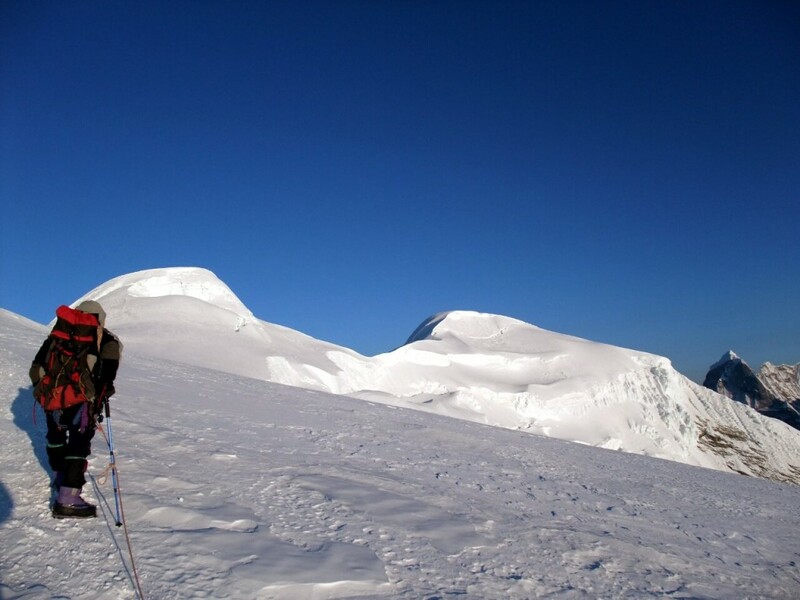 Mera Peak’s true summit, Mera North, is just 15m higher. I climbed both summits in 2009 and took GPS readings which confirmed this to be the case. After climbing Mera the party descended the Mera La into the Hongu Valley to the east, where they found Dhanu’s pleasant yak kharka. The Hongu Valley is one of Nepal’s loveliest, full of alpine lakes and meadows. As they ascended it northwards Roberts’ party will have seen Lhotse, the fourth highest mountain in the world, rising up like a forbidding black castle wall, with the summit of Everest just peeping up over the top. The valley is enclosed by high mountains, the disc-like Chamlang and the whale-back of Baruntse most prominent, but it’s broad enough to feel a sense of openness. At the northern end is a broad open area of glacier lakes known as the Panch Pokhari rising up in terraces of moraine. A very technical pass called the Amphu Labtse crosses over into the Imja Valley below Island Peak. To cross it involves ice climbing, rock scrambling, and a spot of abseiling on the far side. Roberts struggled to cross it with porters, and ended up scrambling down a gully half a mile to the west, where he descended into the Imja Valley and returned to Tengboche. Jimmy Roberts is generally regarded as the grandfather of trekking in Nepal. He wasn’t the first person to lead commercial treks and climbs of Mera Peak, but this little reconnaissance of his, an insignificant postscript to the giant media story that was the first ascent of Everest, may well have sowed the seeds of commercial trekking in his mind. The full text of Roberts’ article South of Everest used to be available online as a part of Charles Wylie’s longer piece about the 1953 Everest expedition in the Himalayan Journal. Sadly it appears to have vanished when they redesigned their website a few months ago. Another interesting history lesson! Keep ’em coming.